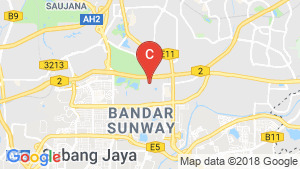 Sunway SuriaMas Condominium also known as SuriaMas Condominium is a leasehold condominium located at Bandar Sunway, Petaling Jaya, Selangor, Malaysia. There are 675 units housed within 3 blocks of 15 stories each. The built up size is from 1,245 to 1,300 sqft per unit. 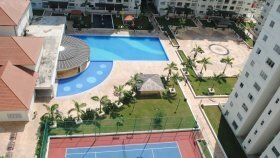 Facilities provided are a clubhouse, gymnasium, swimming pool, basketball court, tennis court, badminton court, sauna, playground, car park and security. The nearest education institute is Taylor’s College. The college is situated along Lebuhraya Pantai Baru and is a 15 to 20 minute drive from the condo, provided traffic conditions are good. Other amenities include Sunway Pyramid Shopping Mall, Sunway Lagoon Theme Park and Kelab Golf Negara Subang. SuriaMas is situated along Persekutuan Highway and Setia Jaya KTM Komuter station is a short walk away as well. Residents can drive down along Persekutuan Highway to access Subang Parade. The drive is about 10 to 15 minutes. SuriaMas is also quite close to Pantai Baru Highway, providing residents with easy access to KL City Centre and Damansara. Sunway Suriamas Condominium is a condo project developed by Sunway Suriamas, Sunway Suriamas Condominium construction was completed in 2008. 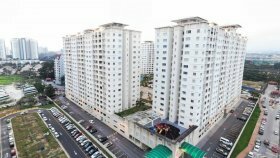 Sunway Suriamas Condominium has 16 floors and contains 675 total units, Units range from 4 bedroom to 4 bedroom. 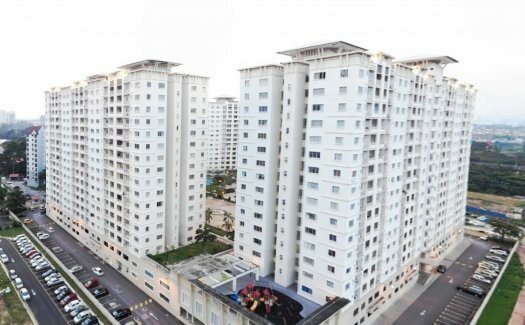 Sunway Suriamas Condominium at Petaling Jaya, Petaling has the following facilities: fitness, garden, parking, playground, security and swimming pool. There are 2 condos for rent in Sunway Suriamas Condominium available from RM1,900 to RM2,500 per month (based on 1 year rental term). Fully furnish 4 Bedroom unit Suriamas condo, Bandar Sunway. Newly Renovated Sunway Suriamas Condo Unit.